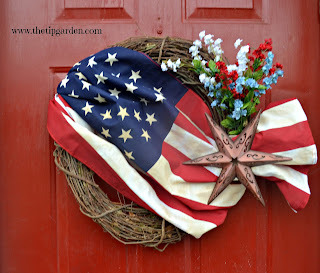 I love putting up a patriotic wreath on Memorial weekend and leaving it up all summer long. 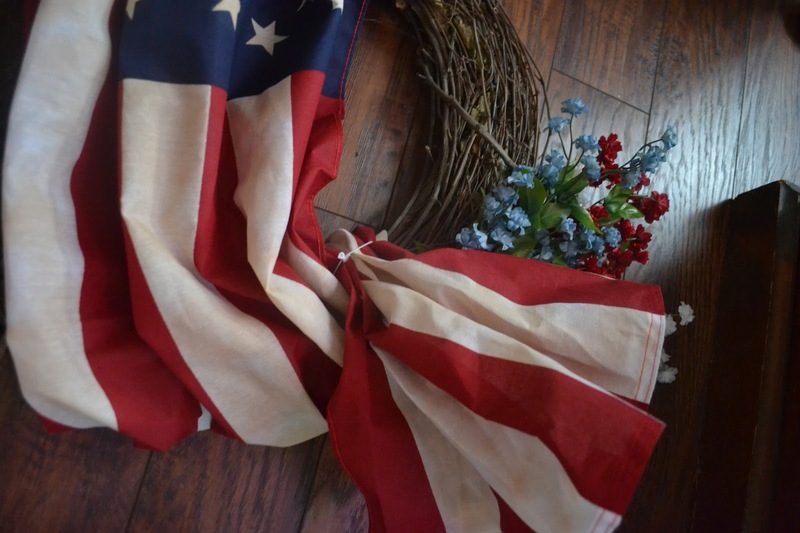 I also love recycling old items and using an old flag that may need to be retired from it's flag pole days is perfect for this craft! You can use a new flag as well. 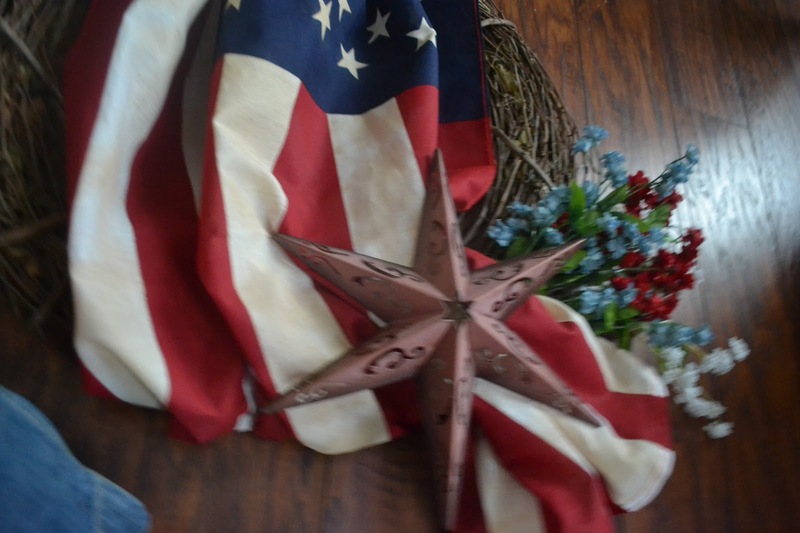 I tea-stained a new flag for this wreath to give it a vintage feel, and used an old metal star from my Christmas decorations for the finishing touch. optional embelishments: such as : metal or wooden star, flowers, ribbon ,etc. I chose this time to hot glue my flowers in place as seen below. Gather the top (Blue) end of the flag and secure with a rubberband about 2-3 inches from the end. Decide on the location you'd like to drape the flag, I chose just to the left of the top center of the wreath. 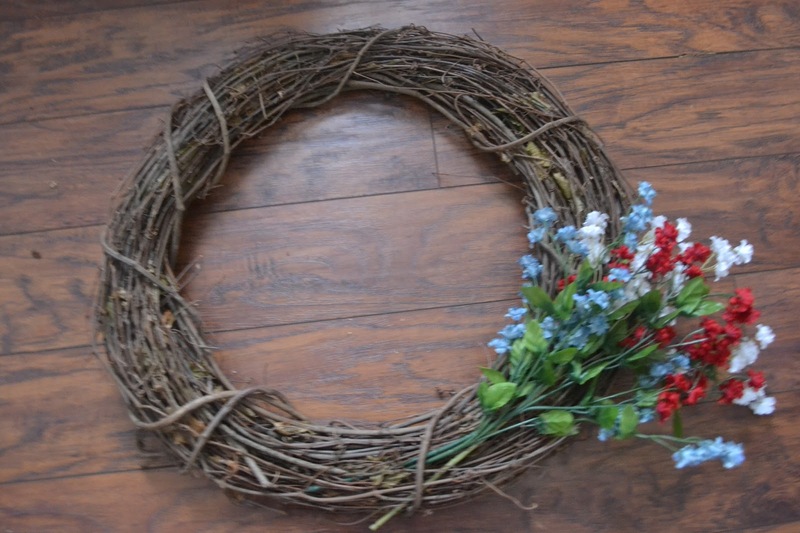 Wrap the rubberbanded end over the wreath and hot glue it in place on the back side of the wreath. 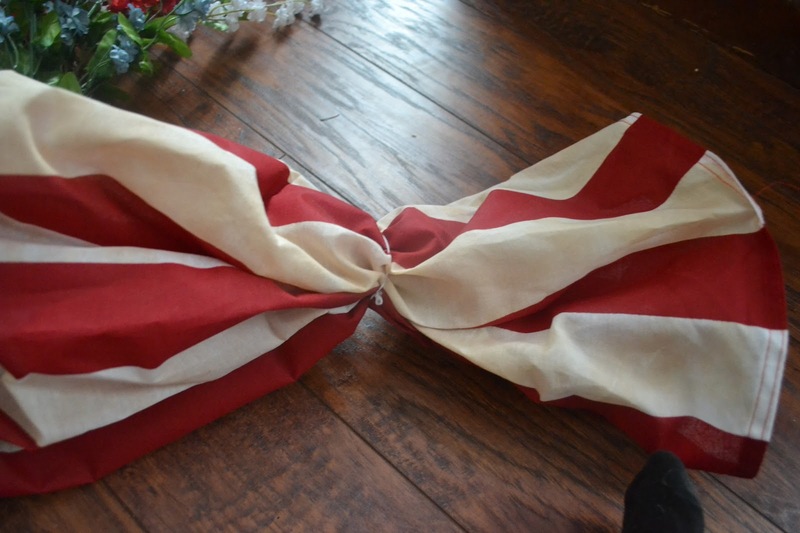 Drape the rest of the flag across the wreath at an angle. 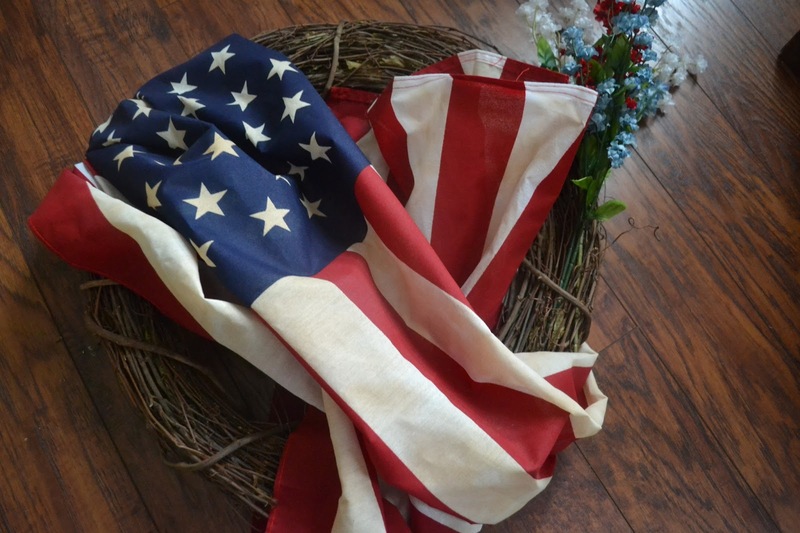 Gather the bottom end of the flag and secure it with a rubberband leaving at least 5-6 inches of a tail (longer than the other end you banded). 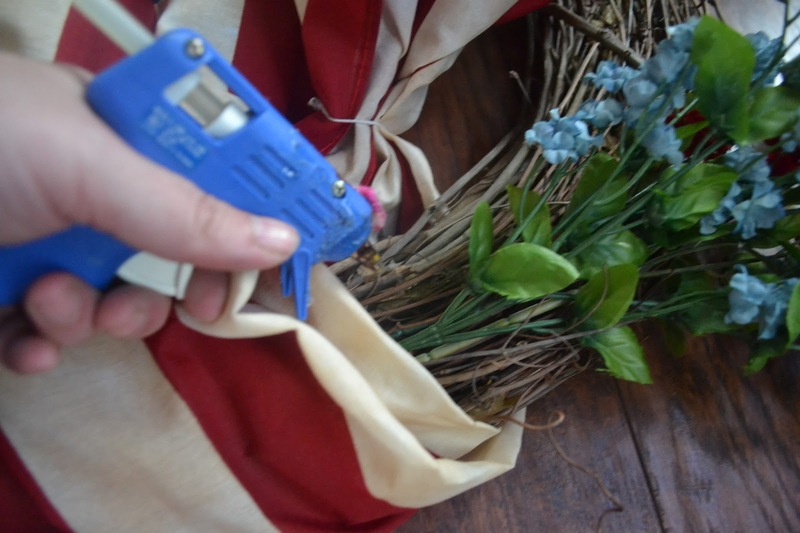 Tack the rubberbanded area to the wreath with a dot or two of hot glue. 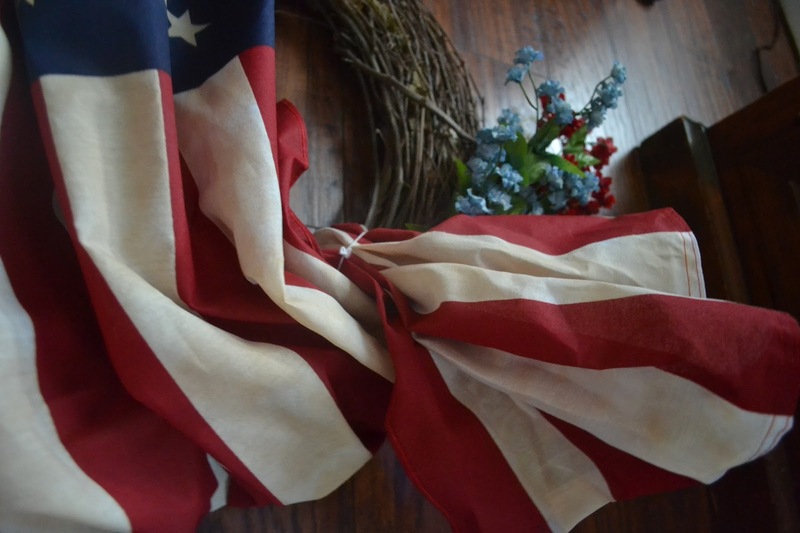 (arrange the flag to drape slightly over the rubberbanded area to hide it. 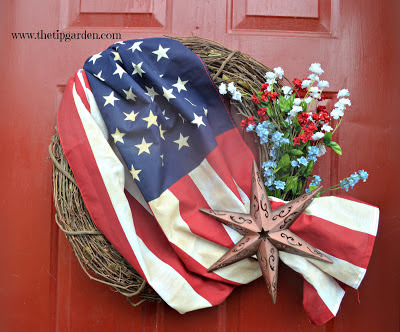 Finish off the wreath with any embelishments. 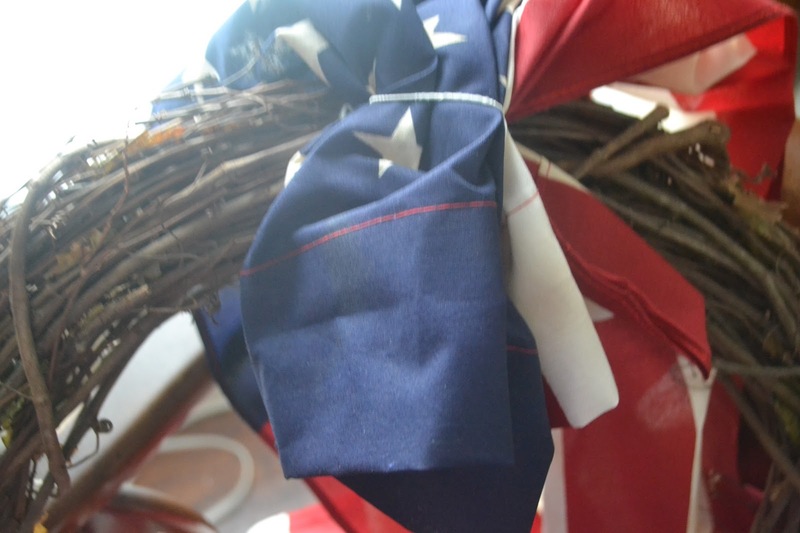 I hot glued an old metal star to the bottom of the wreath right where the flag wrapped around the bottom.